Brentford Football Club will transform their historic Griffin Park home with the introduction of a new perimeter LED technology. The system, which will be installed during the international break in October, will create an exciting new advertising platform for Club partners and add to the matchday experience. The Club has appointed digital venue specialists ADI, whose LED technology is used by the majority of Premier League clubs, to deliver the project and install a new perimeter system with integrated crowd-facing display. It will form part of a wider commercial programme to create a highly engaging platform that adds value for supporters and a broader offering to sponsors. Newly appointed Title Partner LeoVegas will feature prominently on the new advertising platform, as will all other Club partners. 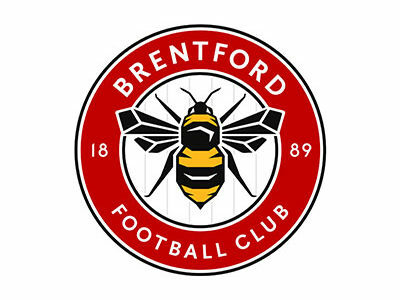 The introduction of the new system will enable Brentford FC to launch a new multi-tiered club partnership structure with opportunities available for international, national, and regional businesses. The system will enable large brands to deliver their message to the millions of fans watching in the UK and throughout the world and the integrated crowd-facing display makes it possible for local and regional businesses to affordably reach thousands of fans in the stands. Connectivity to ADI’s operations centre via the company’s Live Venue fibre network means that the crowd-facing display is also capable of serving engaging live match stats and social media content to entertain and inform supporters throughout the game. The installation is the latest way the Club is seeking to use innovation to produce the best possible matchday experience for supporters at Griffin Park. The digiBOARD system – which will sit in front of the Ealing Road, Braemar Road and Brook Road stands – will also be transferable to the Brentford Community Stadium. James Parkinson, Brentford FC Commercial Director, said: “We’re excited to bring LED technology to Griffin Park to add value to our partners and enhance our matchday experience. The model we are implementing will allow Brentford Football Club to further develop its relationship with regional and national businesses to drive revenue into the club at this important time in our history.